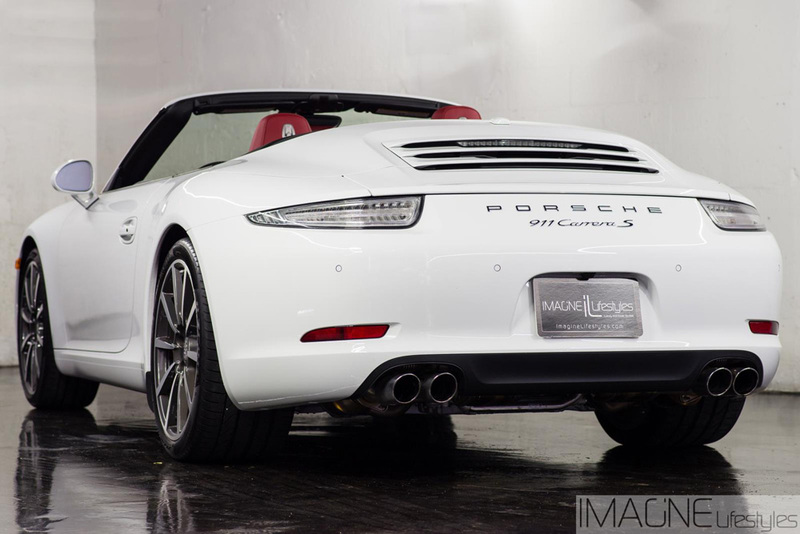 The Porsche 991 aka 911 convertible rental New York is a simple way to create a lasting impression for any business function or special trip. 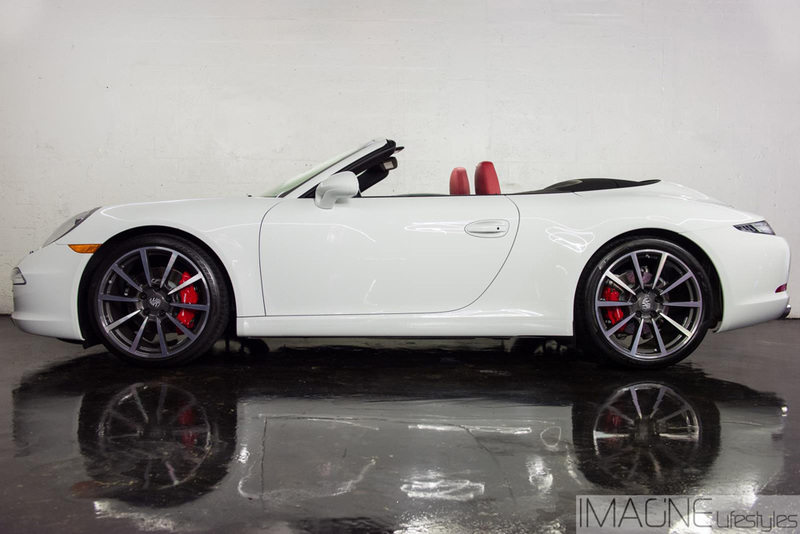 This Porsche luxury convertible rental NY is focused on power, with a stunning white coat and red interior for a sense of upscale style. The Porsche 911 rental New York drops its top in 20 seconds with the push of a button, for an open-air approach to experiencing the city. There is an available lightweight aluminum hard top in addition to the soft convertible top, ensuring the 911 Porsche rental NY is ready for all weather conditions. Standard features include a wind deflector, automatic climate control, an on-board computer, HomeLink system, and a 12-speaker Bose surround-sound system to provide total comfort in this luxury rental car. 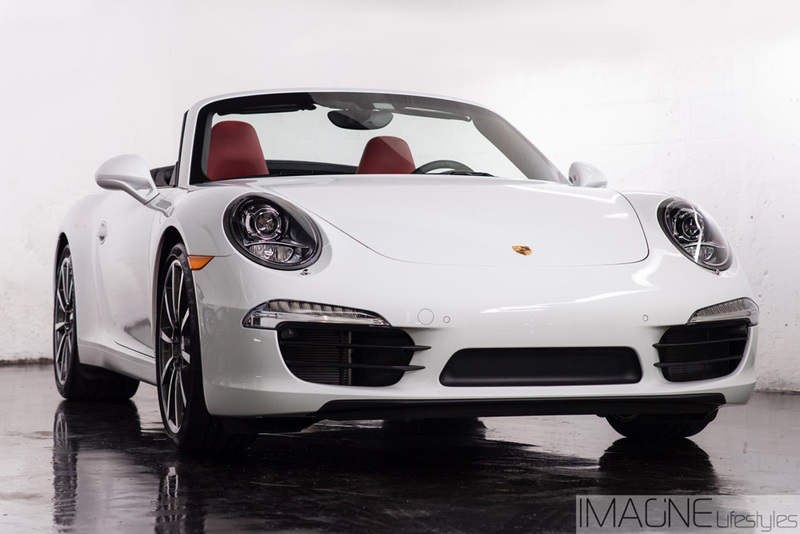 This Porsche model boasts a 3.6-liter six-cylinder engine with a Sport Chrono Package Turbo for added power. The additional power is provided by twin-turbochargers with Variable Turbine Geometry. A manual six-speed transmission propels the Porsche 911 NY rental from 0-60 in 3.8 seconds. This model can reach speeds of 193 miles per hour, not that you will be accomplishing that on the streets! With acceleration and speeds that insane, quality brakes are a must. 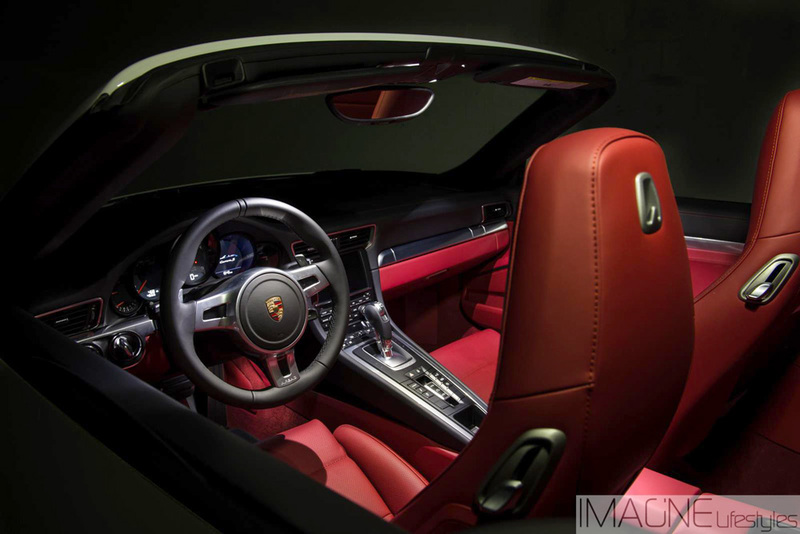 The Porsche convertible rental NY is fitted with six-piston brakes in the front and four in the rear, all with aluminum-fixed calipers and ventilated discs. Active Suspension Management with normal and sport settings come standard on the 911 convertible rental New York. 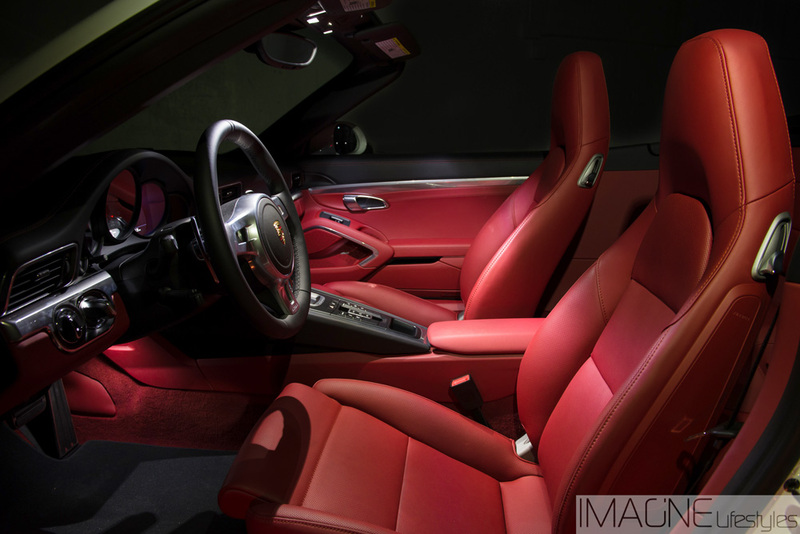 Take advantage of a Porsche 911 convertible rental next time you are in New York. Do not forget that we have luxury SUV rentals available in Los Angeles, CA or New York, NY with a free quote.